One farmer. A shocking number of T-shirts. You can grow cotton in places where land and labor are cheap. You can grow it in places that are close to the countries — Colombia, Indonesia, Bangladesh — where the Planet Money T-shirt was made. Yet most of the cotton in the Planet Money T-shirts was grown in the U.S. In fact, the U.S. exports more cotton than any country in the world. Here are three reasons why. Bowen Flowers, a Mississippi cotton farmer, shared some of the numbers behind his operation. In 2013, the farm will produce 13,000 bales of cotton — the equivalent of 9.4 million T-shirts. - Cotton yields are projections. - Flowers’ farm also produces other crops. Some of the machinery and staff listed here also work elsewhere on the farm. 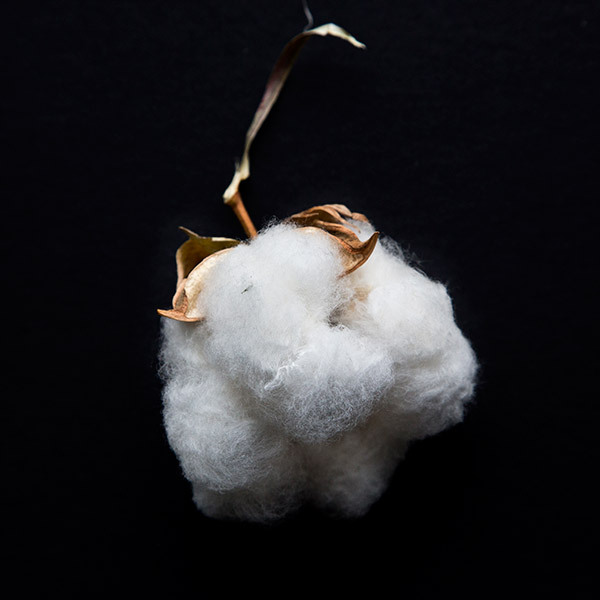 The U.S. has perfected cotton by treating it as a high-tech product. Genetically modified crops are controversial, but not among U.S. cotton farmers: Roughly 90 percent of U.S. cotton comes from genetically modified seeds that were designed in labs to produce more cotton and resist pests. And when it’s time to harvest the cotton, U.S. farmers use, essentially, giant robots. Just last year, Bowen Flowers, the cotton farmer in the video, bought five John Deere 7760 pickers. They’re the size of tanks, but are finely tuned, self-driving machines that sense the cotton plant stalks and twist off just the cotton puffs. Flowers says he paid about $600,000 for each picker. Like the seeds, the pickers get more productive every year as the technology improves. The newest John Deere picker needs just one guy to do what it took five guys to do a couple years ago. One driver can pick 100 acres of cotton a day — and he barely needs to touch the steering wheel. Every year, the U.S. Department of Agriculture tests all 17 million bales of cotton harvested in the U.S. The farmers pay for the testing, and the USDA figures out exactly how fine, long, strong and bright white every batch of cotton is. 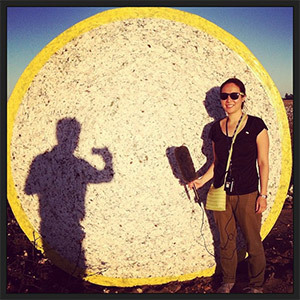 Cotton buyers all around the world can get a report card that tells them everything they need to know about every bale of U.S. cotton. Here are a few key specs for a sample from Bowen Flowers’ crop. What the numbers mean: Color is measured on a scale from 11-1 (white and bright) to 85-5 (yellow and dark). Fineness is measured in grams per inch. Length is measured in inches and refers to the average length of the longer half of the fibers. Strength is a measure of how much force is required to tear the fibers; the units are grams per tex. A factory manager there told us that, when he orders U.S. cotton, he knows exactly what he’s getting before he ever sees or touches the cotton. 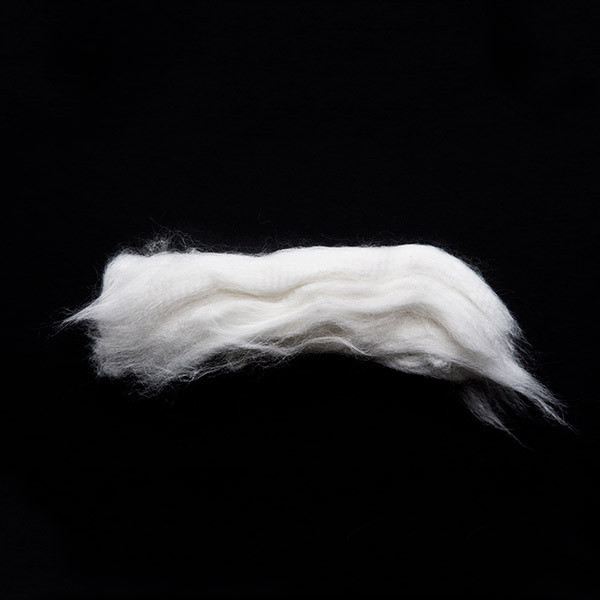 The spinners have a special recipe for their yarn, and they need exactly the right cotton — exactly the right color, exactly the right length, exactly the right fineness. No surprises. The USDA testing means a cotton buyer in Indonesia can order a bale of U.S. cotton that’s guaranteed to match his exact specifications, every time. U.S. cotton farmers benefit from a bunch of government subsidy programs. (Other countries subsidize their cotton farmers as well, by the way.) The government gives taxpayer money directly to cotton farmers, and subsidizes insurance that protects farmers if their harvest is weak or cotton prices fall. The government subsidizes several kinds of insurance available to cotton farmers. One popular option is revenue insurance, which pays farmers if they make less money than they expect. This can happen for a few reasons — cotton prices may fall, or a farmer may have a bad harvest. The government pays a big chunk of the premiums for the farmers. The government also pays a chunk of the operating costs of the companies that sell the insurance. Through the “counter-cyclical program,” the federal government pays cotton farmers when the average price of cotton falls below a certain level. Cotton farmers get cash payments from the government, even if cotton prices are going through the roof. Some farmers who used to grow cotton but don’t grow it anymore also get payments through this program. The latest version of the farm bill, which Congress is working on this month, could change these subsidies. Farmers may get less money in the form of direct payments, and more in the form of subsidized insurance. Spinning yarn is high-tech and shockingly complex. The yarn for the Planet Money T-shirt had to meet dozens of specifications — thickness, tenacity, the amount of twist, the direction of the twist. Newtons per tex! But even though we ordered thousands of shirts, our supplier, Jockey, wouldn’t tell us exactly what those specs were. “That’s our special sauce,” said Marion Smith, a senior vice president at Jockey. It’s like the secret formula for Coke, but softer on the skin. 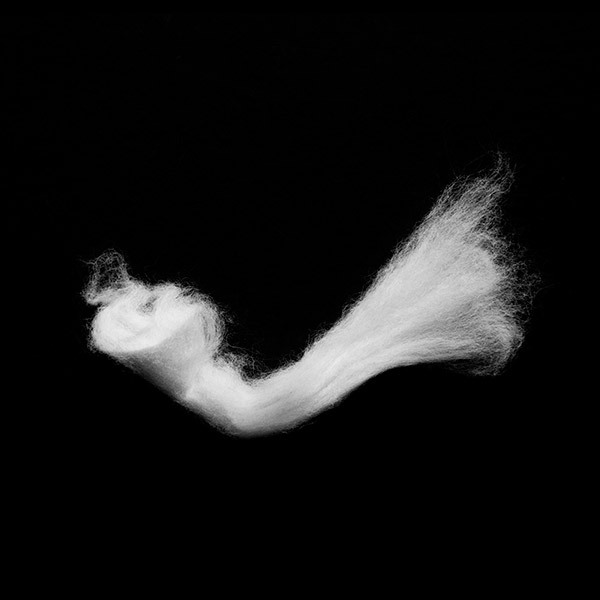 Here’s yarn from ordinary clothes, as seen under a microscope in the Textile Development and Marketing lab at the Fashion Institute of Technology in New York. Two words: compact ringspun. A machine sucked the fibers close together when the yarn for our shirt was spun, creating yarn that makes an extra-smooth shirt. The yarn has relatively few twists per inch, which makes the fabric soft and comfortable. It has more twists per inch than the Planet Money T-shirt. This makes the fabric more uniform, but rougher to the touch. Denim yarn is made from shorter fibers than T-shirt yarn, and it has a consistency akin to rope: thick, heavy, and uneven. It’s the toughest and most durable of the yarns shown here. 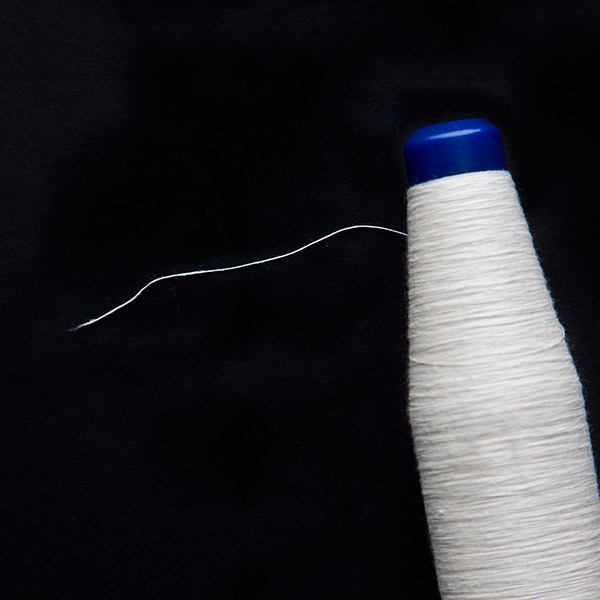 The yarn has the most twists per inch of any yarn here, which makes fabric that’s stiff, regular and can be ironed. This is some big, hairy yarn. It’s soft, cushiony and absorbent, but also irregular in size and appearance. 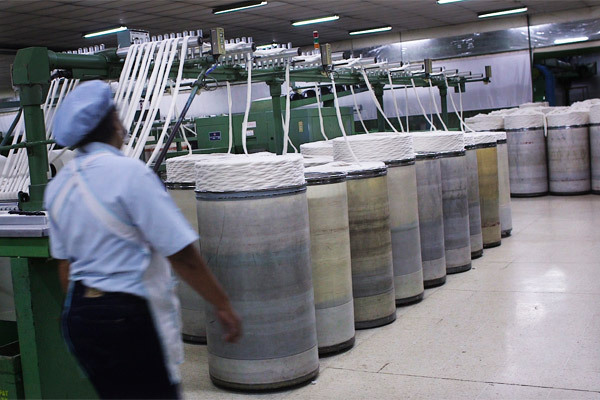 NPR’s Robert Smith collected yarn samples at each stage of the spinning process during his visit to the Indorama spinning plant in Purwakarta, Indonesia. 2. After combing, it’s like baby hair. 3. One more step and it’s cotton candy. 4. Pull. Twist. Spin. And you have yarn. Jockey’s recipe for the yarn may be a secret, but Agrawal’s factory is using machines that anyone with enough money can buy. Right now, Indonesia is in a sweet spot in the middle of the global T-shirt trade. Wages are lower here than they are in developed countries. At the same time, unlike many countries where labor is even cheaper, Indonesia has a few key things that are essential for keeping a high-tech factory humming: an educated workforce; cheap, reliable electricity; and a relatively stable government. But staying in the sweet spot in a global economy is almost impossible. 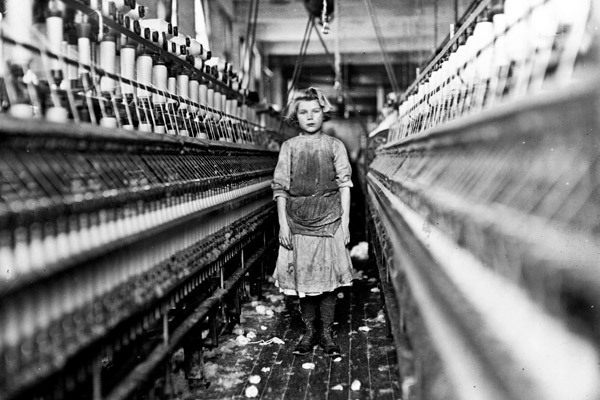 At some point, a country that has cheaper labor or is closer to where clothes are made will find the money, the electricity and the workers to build its own spinning industry. This is the world behind our T-shirt: women like Jasmine and Doris working long hours in difficult conditions, dreaming of better lives for their families. 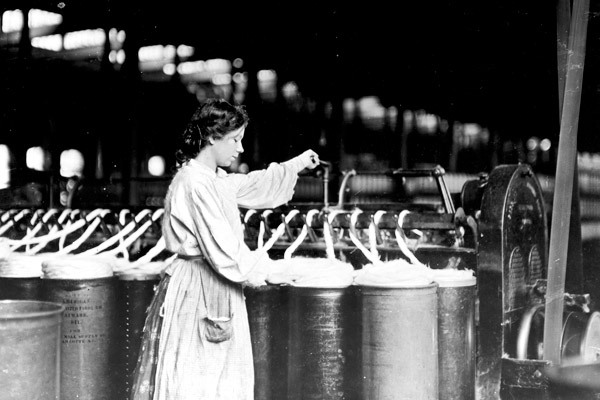 They’re part of a global wave that goes all the way back to the Industrial Revolution in England, when the first textile factories were created. In China in the 1980s, South Korea in the 1970s, America in the 1800s, and many other countries over the years, workers — mostly women — left subsistence farms to work in factories. The factories can be brutal, dangerous places. 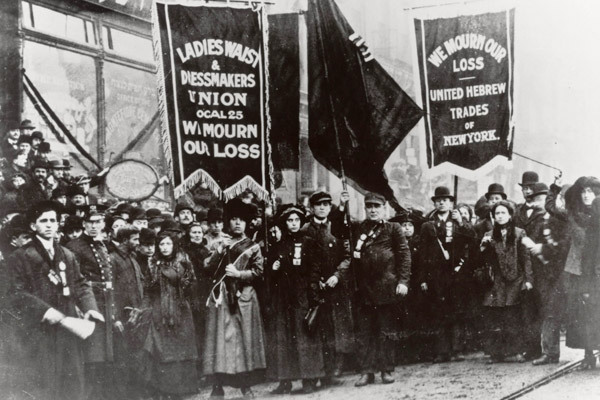 In 1911, a fire at the Triangle Shirtwaist Factory in New York killed over 100 workers, prompting major reforms that improved working conditions. 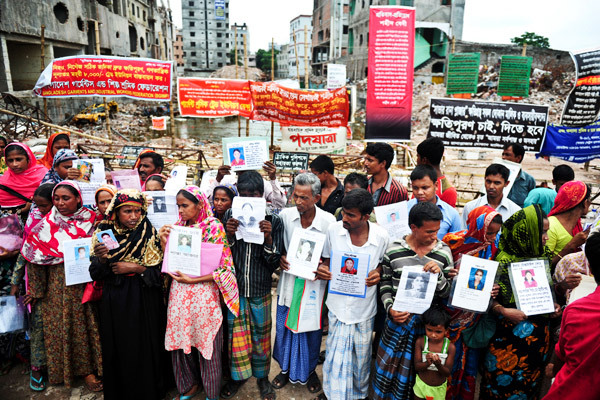 Earlier this year, more than 1,000 workers were killed when the Rana Plaza factory building in Bangladesh collapsed. Huge protests around the country followed, and Western companies that buy clothes in Bangladesh faced increasing pressure to improve working conditions and wages. Notes: Bangladesh data as of Dec. 1, 2013. Other data as of Aug. 1, 2013. Colombia is not in the top 10, but is included here for comparison. * Indicates a country with more than one applicable minimum wage rate (e.g., with different rates by region, enterprise size or skill level). Figure refers to the lowest relevant rate. Factory owners worry that if the minimum keeps going up, the garment industry will find someplace else to make T-shirts. That’s what’s happened for decades: When labor costs rose in one country, Western buyers found someplace cheaper, and prices for clothes continued to fall. In the case of the Planet Money T-shirt, the buyer is Jockey. 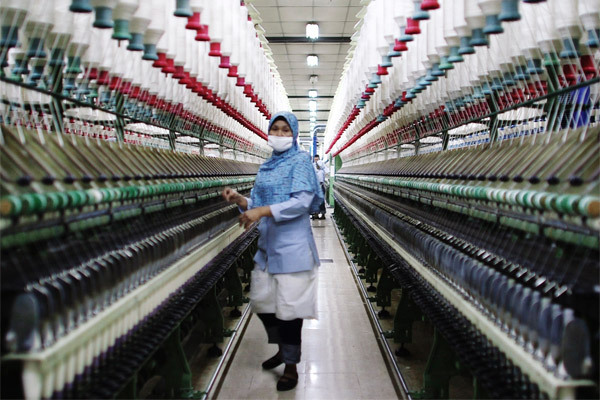 The company told us that the pattern of pulling out when wages rise may be coming to an end for now, because there’s no country that’s ready to replace Bangladesh as the cheapest place in the world to make clothes. But the long-run picture for Bangladeshi garment workers is less clear. In China, South Korea and Japan, to name just a few countries, the textiles and apparel industry brought with it investment and manufacturing knowledge, which those countries used to expand into higher-wage industries like electronics. As economies grow and countries move into other, more lucrative industries, textiles and apparel become less important. But the same may not happen in Bangladesh. Notes: Inconsistent data available prior to 1980. Figures for the United Kingdom refer to textiles and clothing as a share of all exports (rather than manufacturing exports). Sources: For years 1980-2012: World Trade Organization. For prior years: Young-Il Park and Kym Anderson, “The Experience of Japan,” in Kym Anderson, Ed., New Silk Roads: East Asia and World Textile Markets, Cambridge University Press, 1992. Kym Anderson and Young-Il Park, “Effects of China's Dramatic Reforms on Its Neighbors and on World Markets,” in Kym Anderson, New Silk Roads: East Asia and World Textile Markets, Cambridge University Press, 1992. Bangladesh stands out on the graph for a few reasons. For one, apparel exports make up a bigger share of Bangladesh’s exports than they ever did for any of the other countries. And that share is still rising. 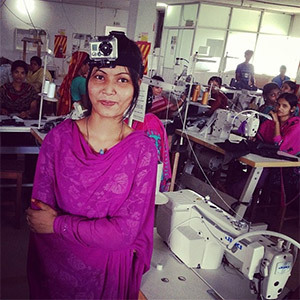 If the next generation of workers like Jasmine is to have more opportunities, that line needs to fall, and Bangladesh needs to expand into other industries. The Planet Money T-shirts traveled around the world on their way to you. 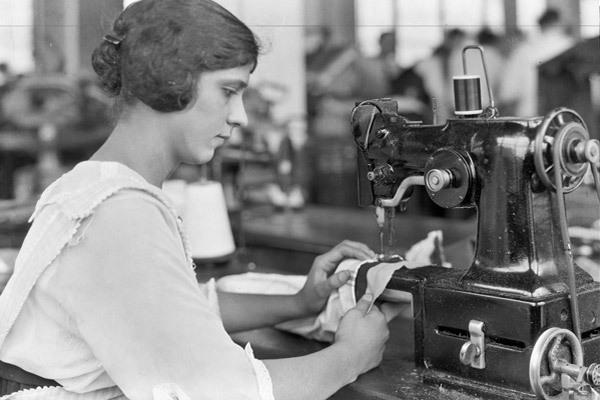 The women’s shirt was made in Colombia, from cotton grown in the U.S. The men’s shirt was made in Indonesia and Bangladesh. 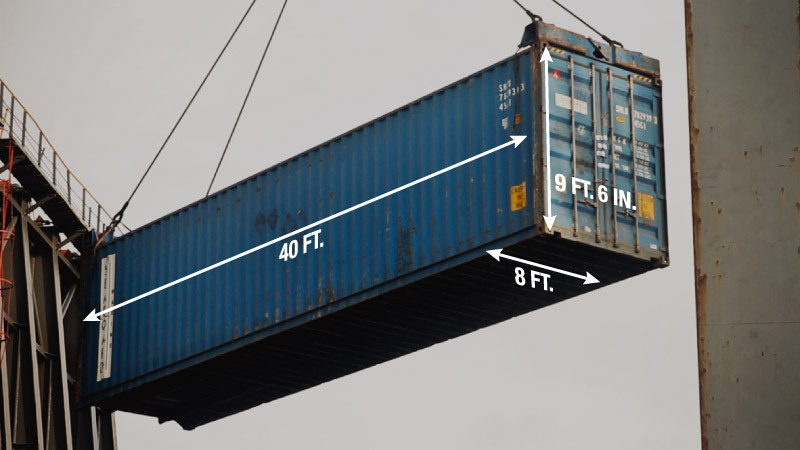 All this travel was made affordable by one simple innovation: the shipping container. Workers in 1937 roll bales of cotton onto a steamboat on the Mississippi River. The container carrying the Planet Money T-shirts is loaded onto a ship in Cartagena, Colombia. A standard container like this one can hold up to 82,880 Jockey T-shirts. Big metal boxes might not seem like an innovation. But without the humble container, the global economy wouldn’t be nearly as global as it is — and the Planet Money T-shirt wouldn’t have been made the way it was. Before containers, single ships were sometimes loaded with hundreds of thousands of different things — bananas, fish meal, steel pipes — all stuffed into sacks and boxes of different sizes. Workers had to pack each bag and box into the ship individually. Even with 50 or 100 people working, it could take weeks to unload and reload a single ship. Malcolm McLean, who led the move to containers, had no experience with ships at all. McLean owned a trucking company back in the 1950s, before the interstate highway system was built. It took forever for his trucks to get through traffic up and down the East Coast. McLean had an idea: What if he put his trucks onto the ship in New York, and sailed them down the coast to North Carolina? He could hop over all that traffic! McLean eventually gave up on the idea of driving entire trucks onto boats and moved on to something that in the end makes a lot more sense. A truck is basically an engine attached to a box — so McLean made the box detachable. Longshoremen fought containers for years: They saw that, with cranes and standardized containers, the number of people needed to load and unload ships would plummet. In the end, shipping companies agreed to pay into funds that would compensate workers who lost their jobs. Standardized containers took off around the world, and by the mid-1960s McLean — the guy who dreamed of putting trucks on boats to avoid traffic — had put together a fleet of container ships making international trips. The age of containers had begun, and it greatly reduced the cost of shipping. A global distribution system emerged around standardized boxes that could be easily moved from ships to trains to trucks. Supercheap transport was a key reason that apparel companies went from making clothes in one place to managing global supply chains — so that, for example, a single T-shirt might start as U.S. cotton, then travel to Indonesia, Bangladesh and back to the U.S., all for far less than a dollar in shipping costs. The numbers below are our best estimates. But they are only estimates. It turns out, even when you’re buying 24,470 T-shirts, people won’t tell you exactly how much everything costs. Note: The men’s shirts cost approximately 10 cents to ship to the United States from Bangladesh. The women’s shirts cost about 7 cents to ship to the United States from Colombia. More than 20,000 people funded the reporting of this project by buying a T-shirt. Here are some of them. 10 members of the Planet Money team scrunched into a room to listen to early drafts of the T-shirt stories. The design on the shirt, a squirrel hoisting a martini glass, is a visual pun: a reference to the phrase “animal spirits” made famous by the economist John Maynard Keynes. Robert Smith (in shadow) and Jess Jiang visit a cotton farm in Clarksdale, Miss. 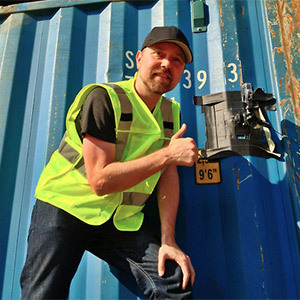 Eric Helton attached a video camera to our shipping container in Jacksonville, Fla.
Kulsum, a factory supervisor in Bangladesh, wore a video camera for us. Good news: We have more T-shirt stories than we could fit on this site. For more, subscribe to the Planet Money podcast. Adam Davidson, Planet Money co-founder, came up with the idea of doing this project in the first place more than three years ago. We were inspired a lot by a book: The Travels Of A T-shirt In The Global Economy. In fact, we hired the author, Pietra Rivoli, to be an adviser on the project. She’s a professor at the McDonough School of Business at Georgetown University. 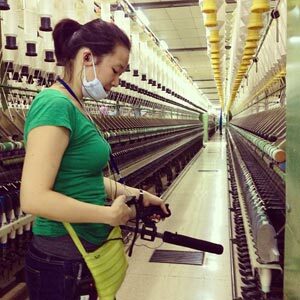 Bawen, Indonesia: Jess Jiang faces the classic producer’s dilemma: One machine tells a story. A thousand create a racket. After several years of trying and failing to make a T-shirt from scratch, we finally found some help from Jockey Corp. Marion Smith, the director of global sourcing for Jockey, was patient with us on the phone. (T-shirts are knitted, not woven. They’re made from something that looks like thread but is called yarn.) Eventually, Jockey agreed to sell us T-shirts — and, more important, to let us follow the creation of those shirts. The Planet Money T-shirts are made of fabric that Jockey’s textile experts developed. They’re based on a design pattern Jockey uses for its own T-shirt line. Jockey introduced us to its suppliers in Bangladesh and Colombia, and those suppliers agreed to assemble our shirts. And Jockey designers helped us pick out the colors for our shirts.